With perks like closer proximity to downtown life, lower rent and an undeniable charm to it, living in small apartments is quite on the rise these days. However, life can become a bit cumbersome for you, if you don’t know how to appropriately decorate a small apartment. One of the most common misconceptions that hinders people in decorating tiny apartments optimally is to focus only on functionality aspect, while not paying due attention to the design element. 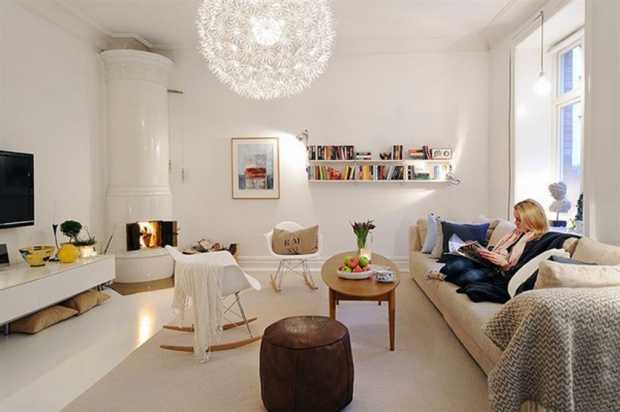 Having an apartment short on size doesn’t necessarily mean having an apartment short on style. 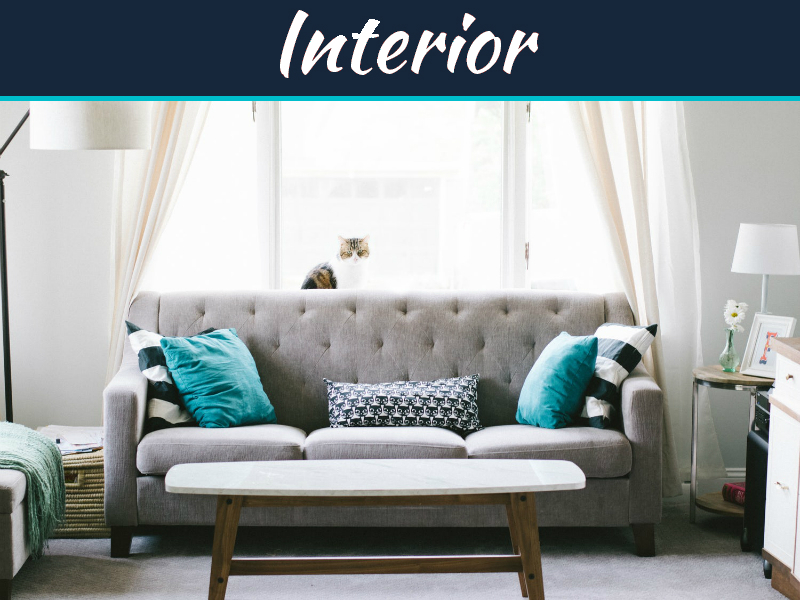 That’s why we are here with these 6 Small Apartment Decorating Ideas to Take Care of Your Aesthetic and Functional Requirements. The ambiance of a small apartment can sometimes look messy to the eye, especially when it lacks definition. Therefore, delineating the space into separate areas becomes quite imperative in small space living, but that remains insignificant unless you give specific purpose to each area. For example, shoes and coat racks can be placed by the door to give impression of entryway. 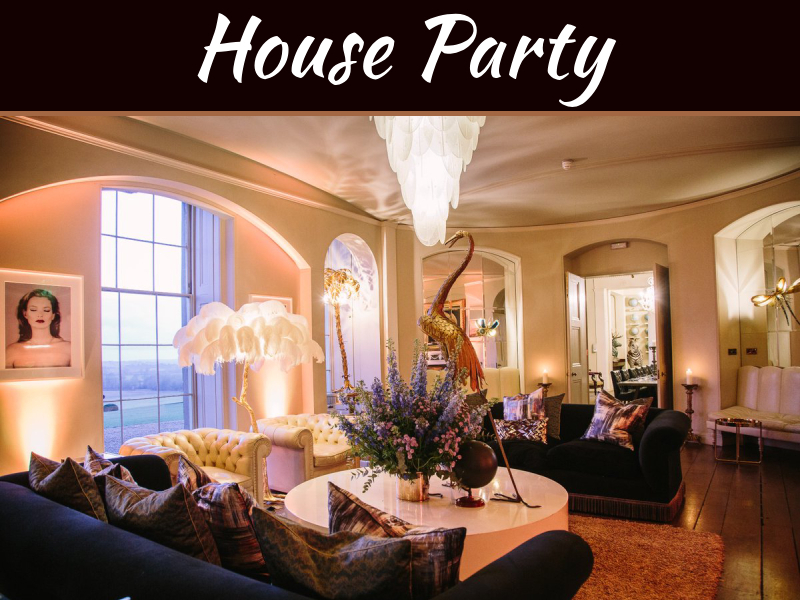 Similarly, kitchen and dining area can be segregated by positioning a buffet in between. This will help you with serving as well as creating some extra storage. 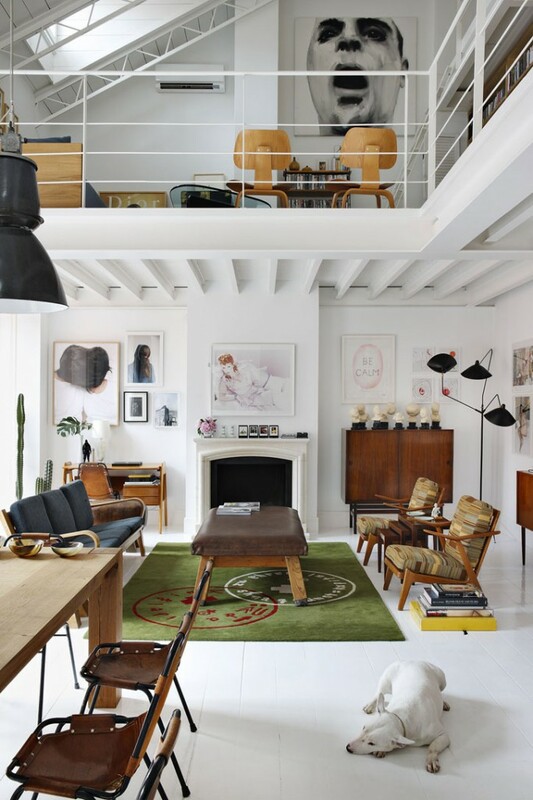 This kind of intuitive delineating is especially helpful for people living in studio apartments, where space is at premium and where the significance of taking aesthetical and practical aspects of a household side by side is much more than anywhere else. It is very important to realize that every single inch of space counts if you want to decorate a small apartment in the best manner. 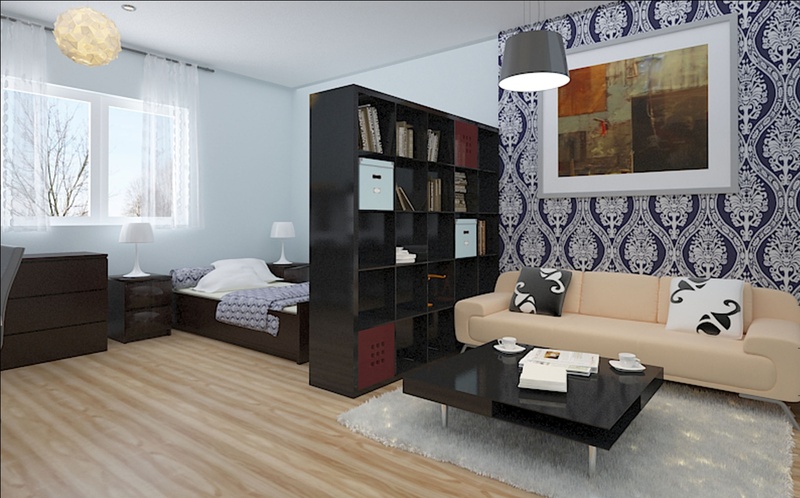 Investing in furniture pieces designed to serve dually will help you get the most out of room space at your disposal. 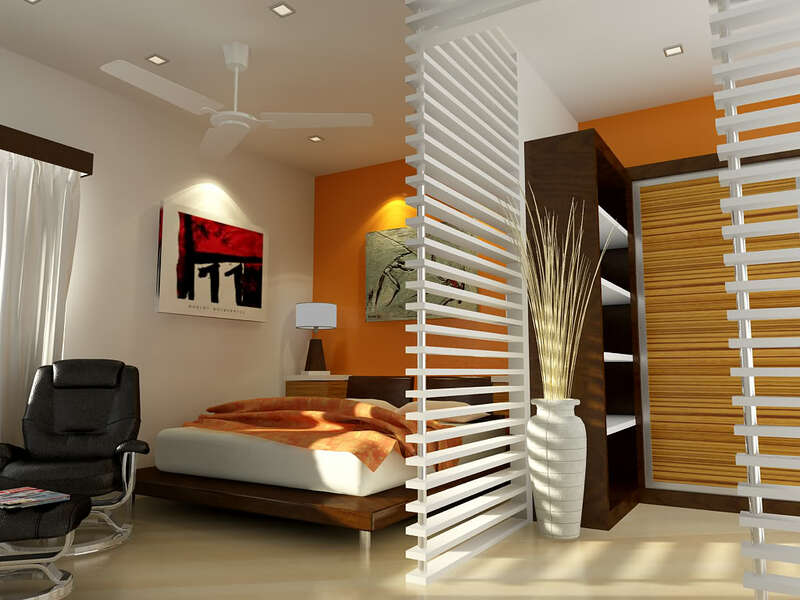 A room divider featuring storage blocks not only helps in delineating the bedroom area, but also helps to store and showcase your possessions. A sofa-bed instead of a conventional one can help you create more space while you lounge over it during the day, folding it as a sofa. Or you might consider contemporary leather beds with storage by HomeArena, which would bestow you with conveniently accessible storage space without occupying any extra space in your small apartment. Moreover, nowadays sofa beds with storage are also available, which makes it even better when you are aiming for optimal use of floor space. Spending a considerable amount of time in one place might result in you being caught up in a rut, as far as using the space is concerned. For optimally using the limited space at your disposal, you must have a sharp eye to identify all those “dead spaces” that haven’t been put to a productive use of space. For example, turn one side of the fireplace into a handy study corner, while using the other one for storage and showcasing purposes. The vacant space on top of your refrigerator can be consumed by few baskets where you might hide those occasionally used serving plates. It also depends upon the size and shape of the space you want to furnish, which means unless you have good awareness of structural limitations of your living space; your efforts might go futile. Strange, as it may sound under normal circumstances, but the walls in any room can take the best care of storage issues when you are facing the dilemma of shortage of space in a home. One of the best ways to tackle with shortage of space is to think horizontally as well as vertically. If you are able to do that effectively, storage will no longer remain an issue for you. 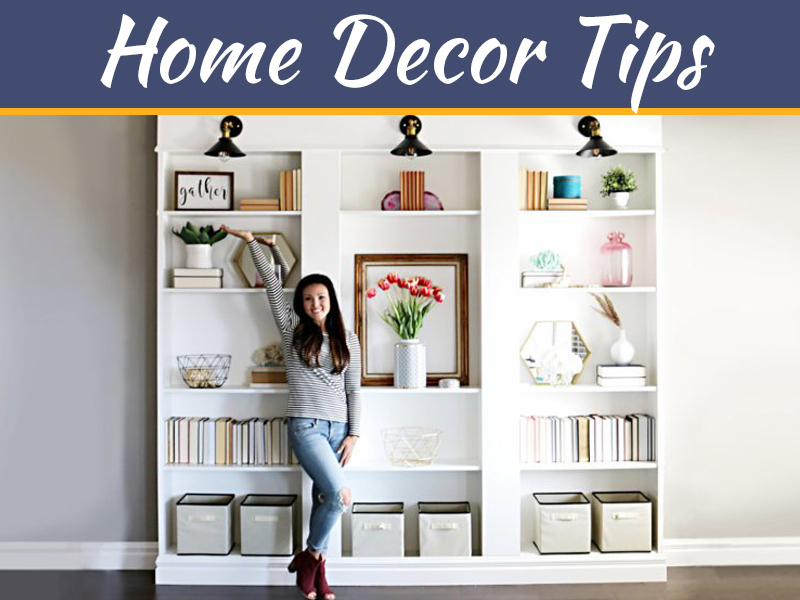 There can be literally countless ideas for that; for example, placing identical bookshelves on both sides of a doorway to mimic built-in shelving look. Or you may consider resorting to a full sized entertainment centre reaching from floor to ceiling, also serving as an adorable room divider between sleeping and living areas of your small apartment. In fact, this approach works well for all areas of a home, from kitchen to bedroom, bestowing you with generous storage space ultimately, which wouldn’t have been possible otherwise. If you want to light up your small world big time, you better go for light colour palettes when choosing the hues to be splashed around you in your small apartment. It is the very nature of dark colours to make spaces smaller visually, while light colours go exactly the opposite way, opening things up in a small place visually. So, you need to take things a little lightly to light up your small heaven. However, in order to spice things up a bit, contrasting accent pieces always work wonders. Most of the times, tiny apartments tend to be boxy and angular in their dimensions. A little wisdom and out-of-the-box approach can help you use this aspect to your benefit rather than hindering you as a shortcoming. This can be done by choosing curvaceous furniture items, which will also serve to keep things from looking monotone. The best way is to compliment such furniture items by using accessories having same shape. Moreover, curvaceous furniture also helps in people moving around, by leaving more space in traffic zones. 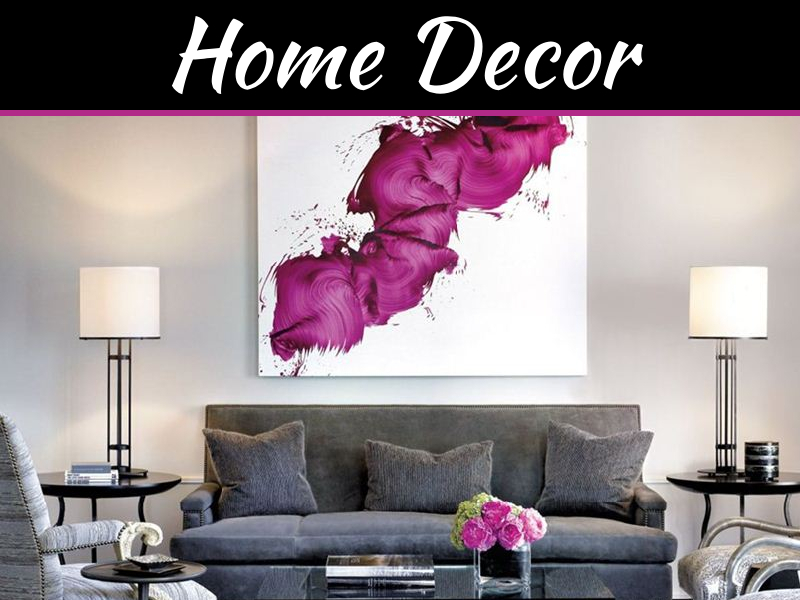 To conclude, decorating a small apartment is all about finding the right balance between aesthetic as well as functional aspects of room decor. Focusing on any one area and leaving the other unaddressed will never yield you the desired results. You might find this a bit challenging initially, but with the tips given here; doing so will become much easier for you. The easiest way to get along with something you are not good at is to start taking interest in it, and it will turn into a fun venture. And lastly, don’t hesitate in sharing some of your own ideas with us in the comment section below. I love the content, that are quite useful ways to use spaces in modern house.